For Spring, Katy Perry has another CoverGirl Katy Kat makeup collection. This one is inspired by mermaids (with equally cute nods to cats in the shade names!). Unlike her first CoverGirl Katy Kat Matte collection, all the shades in Katy Kat Pearl collection the eyeliners and lipsticks are beautifully pearlized, but not shimmery. I loved the CoverGirl Katy Kat Pearl Eyeliner, Purrmaid at first site. I knew it was just what I needed to brighten up my eye looks for spring. The green has the perfect amount of pop and softness to wear day or night. 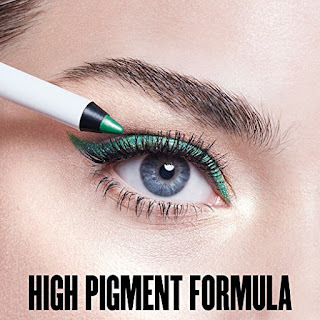 Purrmaid green is a unique, edgier shade you don't normally find in a drugstore brand, and I love Katy for pushing the boundaries with it. The CoverGirl Katy Kat Pearl Eyeliner, Purrmaid texture is a dream. 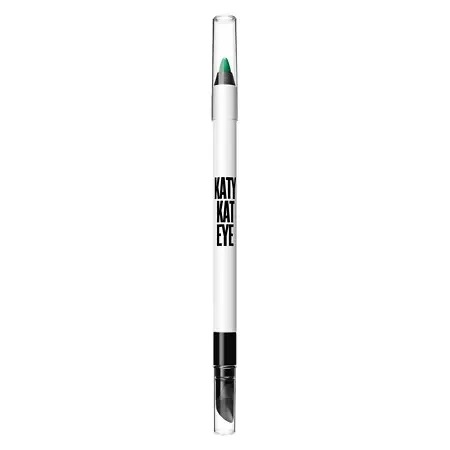 It's very soft, smooth and felt like a liquid when I drew it along my lids, but it set instantly like a traditional pencil. There's also a smudger tip to blend out the lines depending on the type of look you want. I liked using CoverGirl Katy Kat Pearl Eyeliner, Purrmaid in a traditional cat eye line (similar to the image left). The green brightened up my brown eyes and really made them pop. I got tons of compliments every time I wore the Purrmaid shade. CoverGirl Katy Kat Pearl Eyeliner, Purrmaid has incredible pigment and lasting power. My liner shade stayed in place all day and the color never faded or smudged. 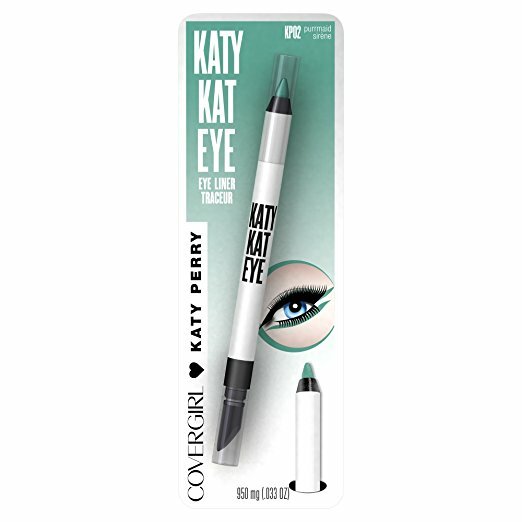 Purchase Here: CoverGirl Katy Kat Pearl Eyeliner, Purrmaid Also available at Walgreens.com and most drugstores nationwide. *This product was provided courtesy of CoverGirl for reviewing purposes.